The longest serving manned spacecraft in the world, the Soyuz was originally conceived in Sergei Korolev's OKB-1 design bureau for the Soviet effort to explore the Moon at the beginning of the 1960s. 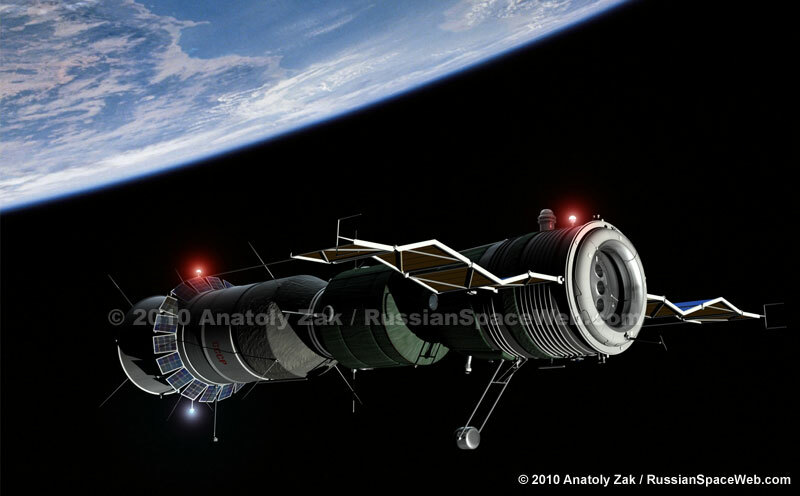 However, long after the Moon race was over, the Soyuz continued ferrying Russian crews to the Salyut and Almaz orbital stations, as well as it performed several solo flights and the historic docking with the US Apollo spacecraft in 1975. Unlike one-man Vostok spacecraft, the three-seat Soyuz would be able to conduct active maneuvering, orbital rendezvous and docking. These features were all necessary for a flight around the Moon and for lunar expedition itself. In the early scenario of "circumlunar" flight, the Soyuz would be actually a three-part spacecraft assembled in the low-Earth orbit from components delivered by separate launch vehicles. The 7K spacecraft would carry the crew, while the 9K propulsion stage would be fueled by 11K tankers. The manned 7K vehicle was to be equipped with S5.35 propulsion system, while S5.36 and S3.37 would propel the 9K and 11K vehicles. This plan was later abandoned in favor of a two-launch and, later, one-launch scenario. For the expedition to the lunar surface, Korolev's bureau adopted the plan similar to one used in the Apollo program: a mother spacecraft and a lander would separate in the lunar orbit and the lander would deliver an "expedition" to the surface. The lander would then blast off from the Moon, enter lunar orbit, where it would meet and dock with the mother spacecraft. 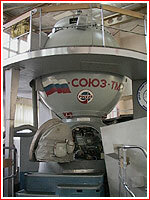 In this plan, a two-seat Soyuz would play a role of the "mother ship." An "abbreviated" version of the Soyuz spacecraft, designated L1, was developed for the circumlunar flight onboard the Proton rocket. 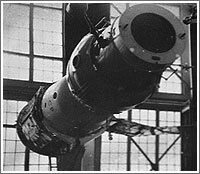 Commonly known as Zond, the L1 spacecraft was essentially Soyuz, where its habitation module was replaced with a smaller instrumentation package. 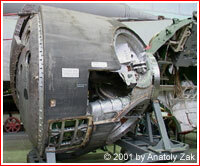 One more variation of Soyuz was also under development in the mid-1960 specifically for the missions in Earth orbit. Designated 7K-OK, it would be used for "rehearsals" of rendezvous operations necessary for the lunar expedition. In the competitive atmosphere of the Moon Race, the first test flights of the Soyuz were hastily conducted in 1966 with mixed results. Despite earlier problems, Vladimir Komarov blasted off onboard Soyuz-1 on April 23, 1967, for an ambitious mission, calling for orbital rendezvous and docking with the second Soyuz scheduled to follow Soyuz-1. The problems onboard Soyuz-1 forced to cancel the second mission, while Soyuz-1 flight itself ended in a disaster during landing. The problems with the parachute deployment caused the Soyuz-1 reentry capsule hit the ground with a crashing speed, killing Komarov. In the wake of the catastrophe, a series of unmanned missions followed, during which two pairs of vehicles docked in orbit automatically. The manned missions resumed in October 1968. As financial and technical problems held the USSR behind the US in the Moon Race, the leaders of the Soviet space industry had to look for a new direction in the manned space program. Since the end of 1960, the new version of the Soyuz spacecraft emerged, which would transport the crews to the Earth-orbiting space laboratories. In 1971, a three-seat Soyuz delivered two crews to the first Salyut space station. The new disaster strikes, when the first Salyut crew returns from orbit. The sudden depressurization of the reentry capsule kills three cosmonauts onboard. As a result, of the tragedy, the designers introduce a protective pressure suits for the expense of one crewmember. 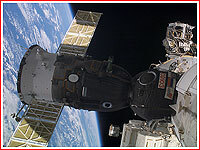 Two-seat Soyuz spacecraft then continued ferrying the crews to Salyut and Almaz space stations. The Soyuz T version of the spacecraft flew its first manned mission in 1980, and since 1986 the Soyuz TM modification of the spacecraft has been delivering crews to the Mir space station. The modifications featured multiple improvements in the design, including the introduction of the new weight-saving computerized flight-control system and improved emergency escape system. These upgrades allowed to increase the crew to three, while the crewmembers could be still protected with pressure suits. RKK Energia also developed another version of the spacecraft, known as Soyuz TMA, or "anthropometric," to address the issues raised during US-Russian cooperative program. "Anthropometric" upgrades would remove the limitations for the height of the crewmembers onboard the Soyuz and as a result, would allow using the TMA version as a "lifeboat" for the International Space Station. 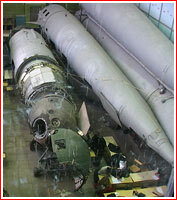 The production of the TMA spacecraft, however, was stalled by non-payments by the Russian government to the RKK Energia at the end of the 1990s. Ironically, NASA, which originally ordered the upgrades also refused to pay for the development of the TMA, until Russia insures the production of the spacecraft. 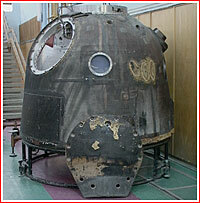 An original version of the Soyuz spacecraft for circumlunar flight involving docking of three elements in Earth orbit. The Soyuz for orbital flight around Earth. The Soyuz for docking with the Salyut space station. Upgraded systems: Kurs-NA rendezvous system | Power supply system | EKTS satellite communications system | Propulsion system | SZI-M "Black box"